You know your frame from your packet. You can explain how bridging tables are populated. Ethernet is your friend from as far back as 100 meg half duplex regularly plagued your life. Wireless? Not so much. You know some stuff, but maybe a big wireless project just landed in your lap and you’re feeling a little overwhelmed. What you need is a crash course. A primer. 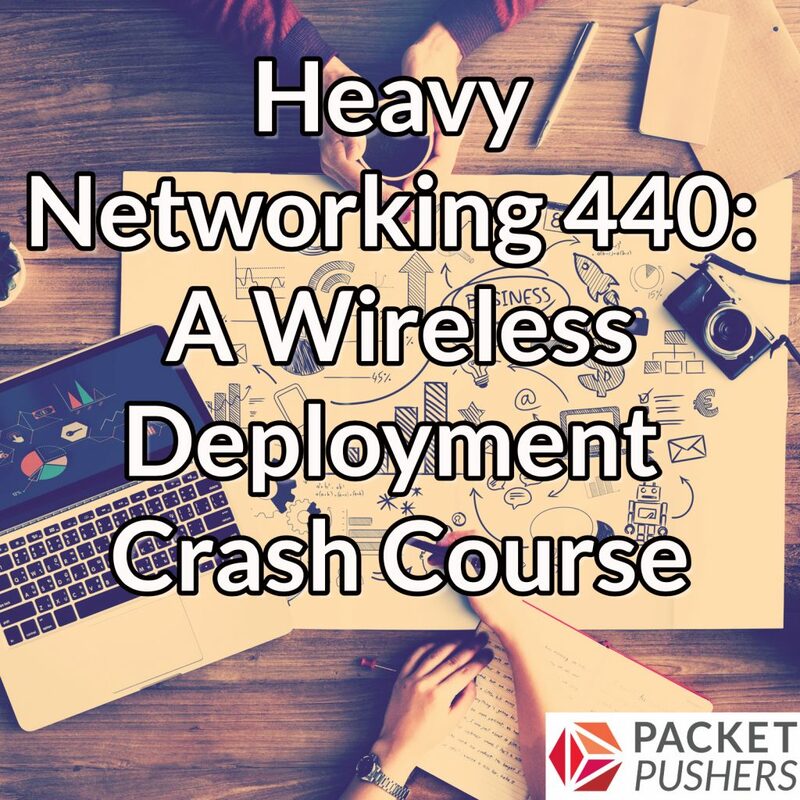 On today’s episode, we explore how to do a new wireless deployment when you’re a wired, not a wireless, expert. Our guest is Robert Boardman, a solution and sales engineer for Mist Systems. This is not a sponsored podcast, we’re just tapping Robert’s expertise. Cumulus Networks wants you to build something epic. Whether you’re scaling your data center network or designing the next “big thing,” you have your sights set on building something that matters. To do that, you’ll need the best resources. Cumulus offers modern networking software for people like you — who have the vision and plans to build something epic. Get more information at cumulusnetworks.com/epicpushers. I haven’t touched wifi in some time, but networking common sense tells me that stretching VLANs even in the same building most often than not is not feasible – and that 5000-6000 clients on same broadcast domain … is silly. There are other products out there for spectrum analysis which do a great job – netscout, metageek are couple I’ve used without having to sell body parts. When tunneling to centralized controllers, I have seen 19K+ wireless users in a single Layer2. A few caveats, as mentioned, involve broadcast/multicast suppression and BIG first-hop gateway router just for the ARP/TCAM capacities.